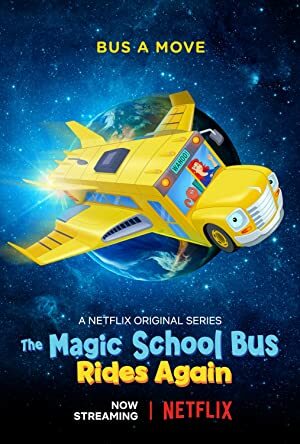 The Magic School Bus Rides Again – Season 2 (2018) – What's New on Netflix Canada Today! Ms. Frizzle and her class along with an inventive high-tech bus that invites children on high-flying hijinks that introduce the incredible world of science. When the class gets an invite to compete on Tim’s favorite TV game show, the bus takes them all back in time to bone up on how fossils are formed. From scratch marks to stolen pepperoni slices, the science classroom’s a mess — and all clues seem to point to Wanda’s bird friend, Marty the Magpie.